President Trump said that he has more Native American ancestry than Senator Elizabeth Warren during his rally in Mesa, Arizona on Friday night. Her decision to take and release the results of a DNA test stem from the president naming her “Pocahontas,” for saying she was Native American during times in her life. “I can’t use the word Pocahontas anymore. There’s no Indian blood. I always said, ‘I have more Indian blood than she has, and I have none. I have none, and it’s more than she has. I don’t know we’ll have to come up with another name,” the president continued. 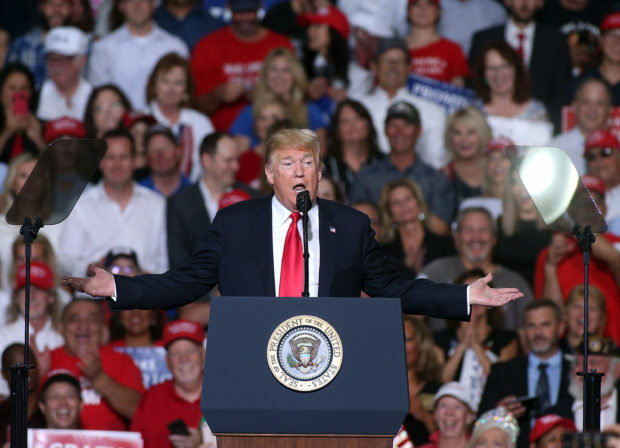 Trump was rallying for multiple GOP members including Senate candidate Rep. Martha McSally and Governor Doug Ducey.